The fan posted the rant on instagram and it's been trending...a lot people are in support of what she wrote. I kinda agree too. Kanye was family, they should have been there and if they were wary of the cameras, they should have insisted on not being filmed. 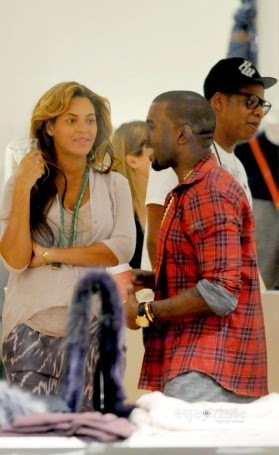 And it wasn't like they were busy on tour, they went to the Hamptons and Beyonce even posted photos online. 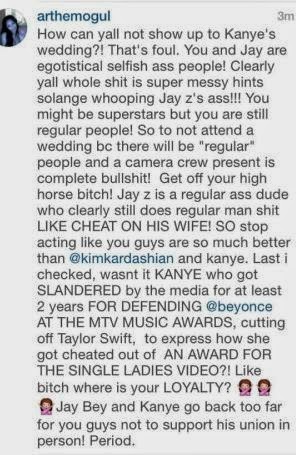 And it wasn't even just Jay Z and Beyonce, many music heavy weights didn't attend the wedding.